The days of the SUV being an awkward, gas-guzzling giant are long over—with the new 2017 Mercedes-Benz GLE 350, you can treat yourself to a svelte and sophisticated luxury SUV that’s as efficient as it is elegant, without losing the power and performance you expect from the segment. With its fuel-efficient V6 engine, stunning aesthetic design, and spacious, comfortable interior, the GLE 350 offers superlative driving experience, and you can find your very own at Mercedes-Benz of El Dorado Hills. Why Buy a 2017 Mercedes-Benz GLE 350? So as you can see, the 2017 Mercedes-Benz GLE 350 offers an experience quite unlike the other luxury SUVs in its class, in addition to the precision engineering and performance you’d expect from the Mercedes-Benz brand. 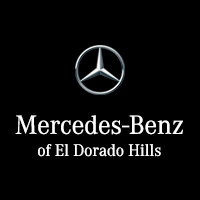 But with these beauties, seeing really is believing, and there’s nothing quite like getting behind the wheel of a GLE 350 for yourself—which you can do at Mercedes-Benz of El Dorado Hills. As your premier source for fine Mercedes-Benz vehicles, we have a comprehensive selection of these models for you to try out. Just contact us online, and schedule yourself a test drive today!